Well, it’s June 1st and here I am — in a new place. 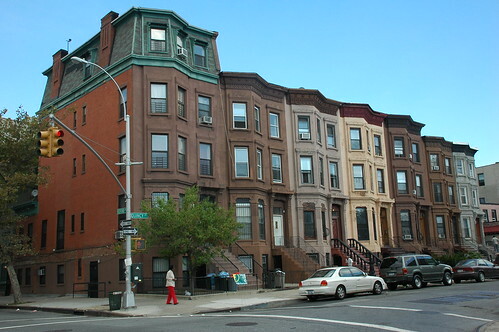 Okay, this isn't my building, but it's what my new neighborhood looks like. Great picture! I would love to visit Brooklyn sometime. I’m from Texas and our neighborhoods look completely different. There’s just a whole other feel in this pic than all of our new Houston neighborhoods.